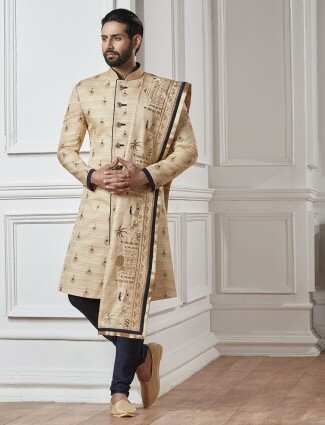 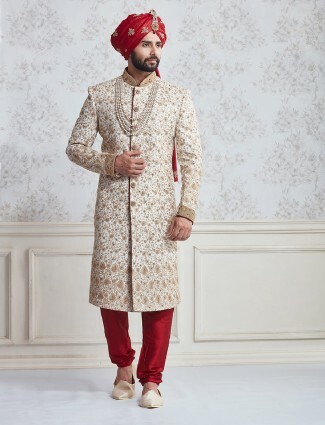 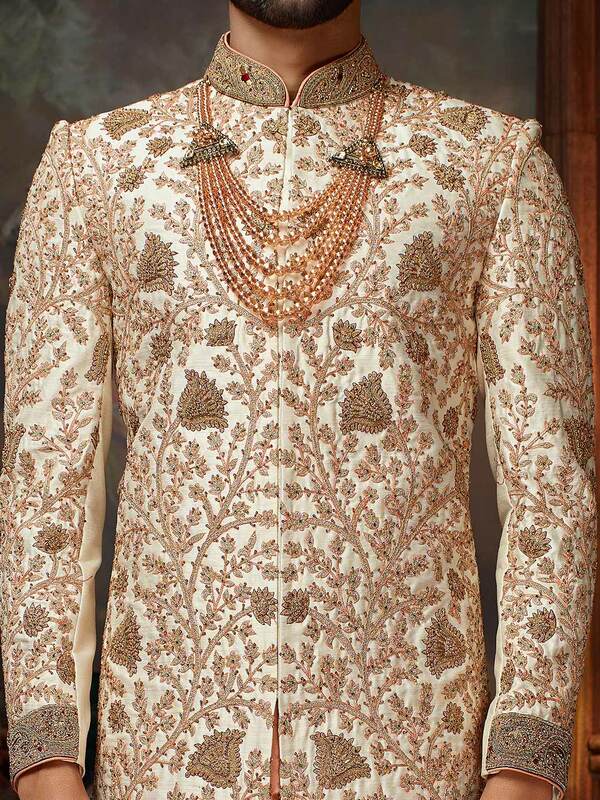 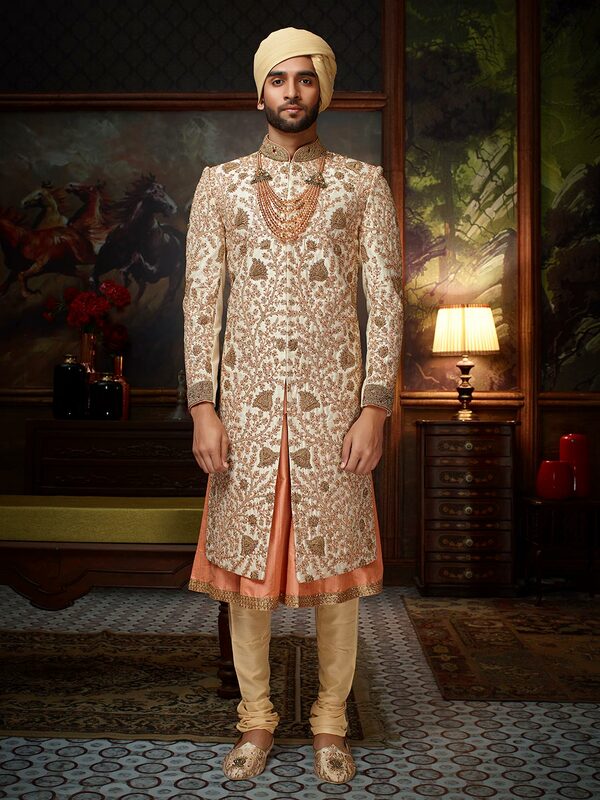 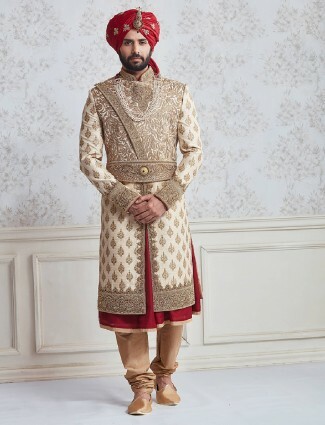 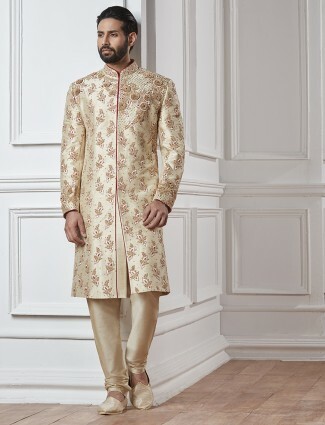 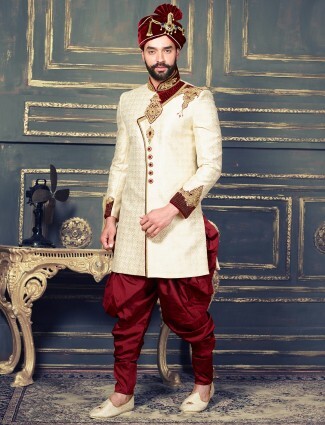 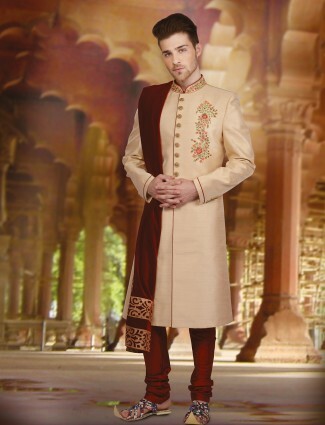 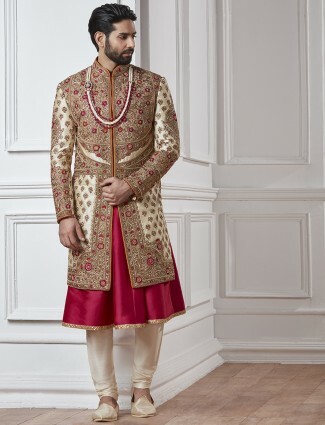 Rich as well as classy look in wedding groom wear this beige color raw silk fabric sherwani. 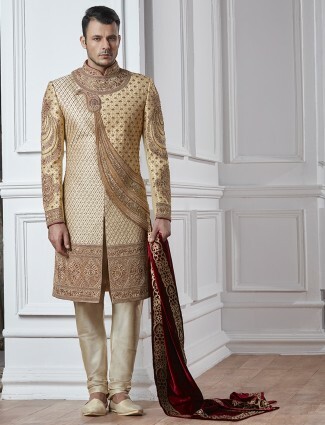 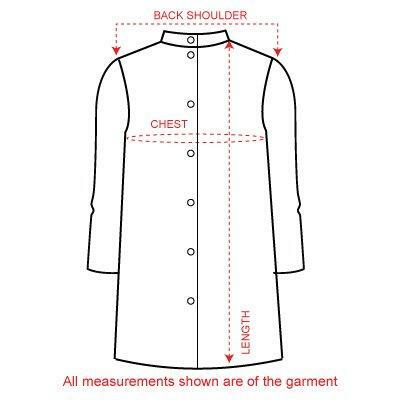 Smarty features with heavy golden embroidery,zari,cutdana work at over all, stand collar and full sleeves. 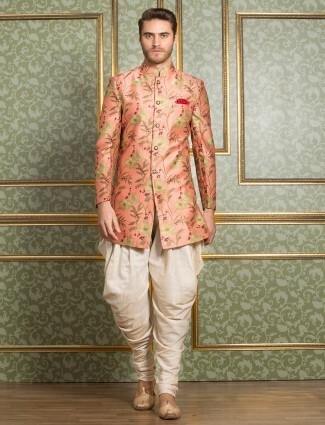 Paired with churidar.